Waters bathing around the coasts and winds blowing throughout the year allow you to enjoy many activities: kite boarding, windsurfing, sailing, water skiing. This area is also a paradise for divers, attracted by the richness of its marine ecosystems, the numerous shipwrecks on the sea bed, the archaeological sites. By diving or snorkeling is possible to encounter octopuses, moray eels and lobsters. The promontory of Mount Cofano overlooks the view of the surrounding mountains. It is the ideal area It is the ideal place for trekking, horseback riding, quad or jeep excursions. Adding to that the climate, mild almost throughout the year, then you can understand why it is a place which can be visited in any period of the year. The “Trapanesi (inhabitants of Trapani)” are very hospitable. It is possible to feel their warmth, they open their hearts to tourists making them feel completely comfortable, telling their story and sharing their traditions. Probably many people don’t speak foreign languages, especially among the elderly, but everyone tries to make oneself understood and to communicate with facial expressions and gestures. It is not uncommon for locals to share some drinks just for kindness toward the newcomers: in this case don’t be afraid and accept it, there are no ulterior motives! 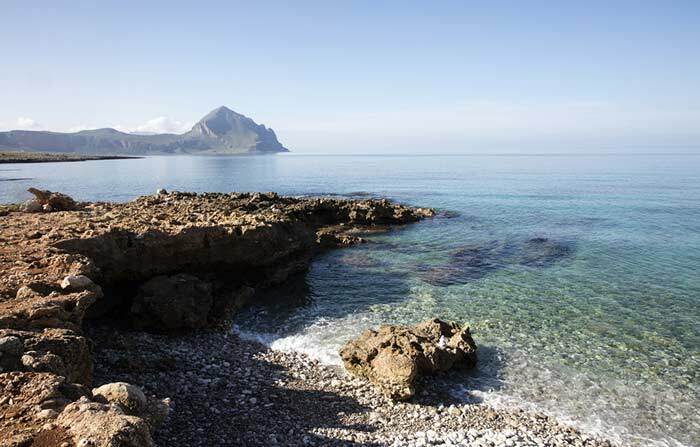 If you love monuments and culture then you can enjoy the province of Trapani. They are really beautiful thanks to the influences of the various peoples that have inhabited the area since ancient times, starting from the Greeks, who landed on its shores and built those fascinating and mysterious centers which can still be admired. A very important cultural heritage was also left by the Romans, the Arabs, the Normans, the Saracens and the Aragons. This part of Sicily has not only wonderful cities with noteworthy historical centers, but also typical villages, old hamlets and examples of rural architecture such as the “bagli (typical rural buildings with a spacious courtyard)”, really interesting to understand the agricultural history of the area. The cuisine of this area, which has been influenced from many populations, is very tasty and scented. It is characterised by the richness of the products ranging from fruits, to vegetables, or legumes, or cheeses, or fresh fish and meat. 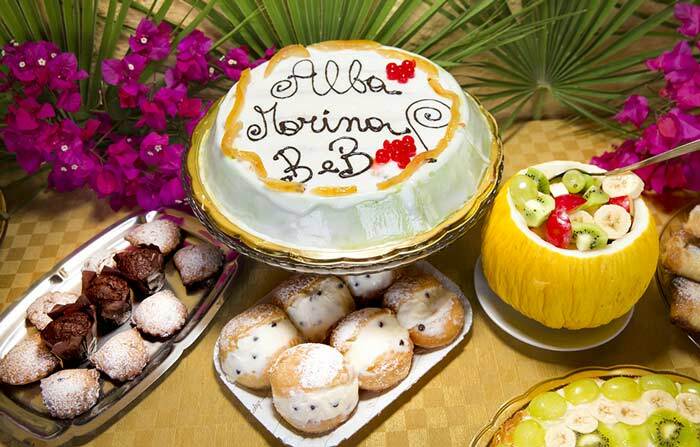 There are very appreciated traditional dishes, such as busiate al pesto trapanese, sfince, cassatelle, couscous, pani cunzato, or sweets as cannoli, cassata, almond pastries. 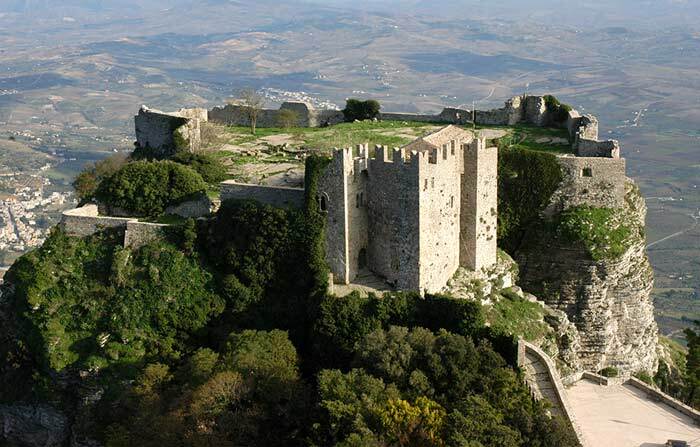 All this, combined with good wines such as Marsala, Nero d’Avola, Erice, etcetera, explains why this province is an ideal food and wine destination. Colourful, flowered and radiant, our province is a delight for your senses. Visitors can attend the numerous traditional festivals which take place, between the scred and the profane, in a kaleidoscope of colours, scents and flavours. From the Processione dei Misteri (Procession of the Mysteries) in Trapani to the Festa della Madonna (Feast of Our Lady) in Custonaci, or the Cous Cous Fest or the Festival Internazionale degli Aquiloni (International Kite Festival) in San Vito Lo Capo. 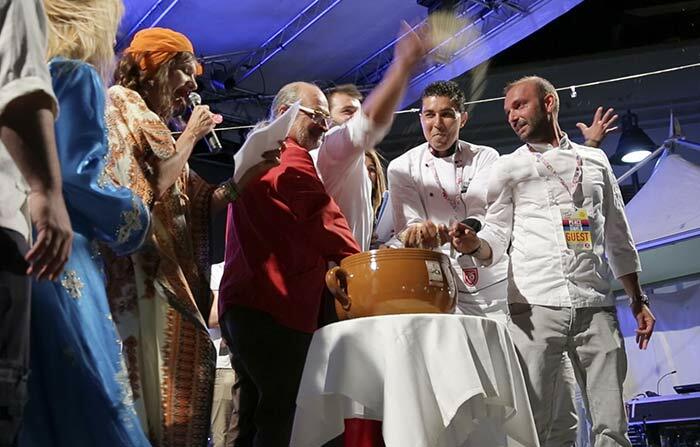 There are also many country festivals, where you can admire a piece of the history and tradition of this area, such as Tempu ri capuna (dedicated to a typical bluefish) in San Vito Lo Capo, Sagra delle Sarde (dedicated to the anchovies) in Selinunte, Sagra del Pane Casereccio (dedicated to the home-made bread) in Valderice, etcetera.